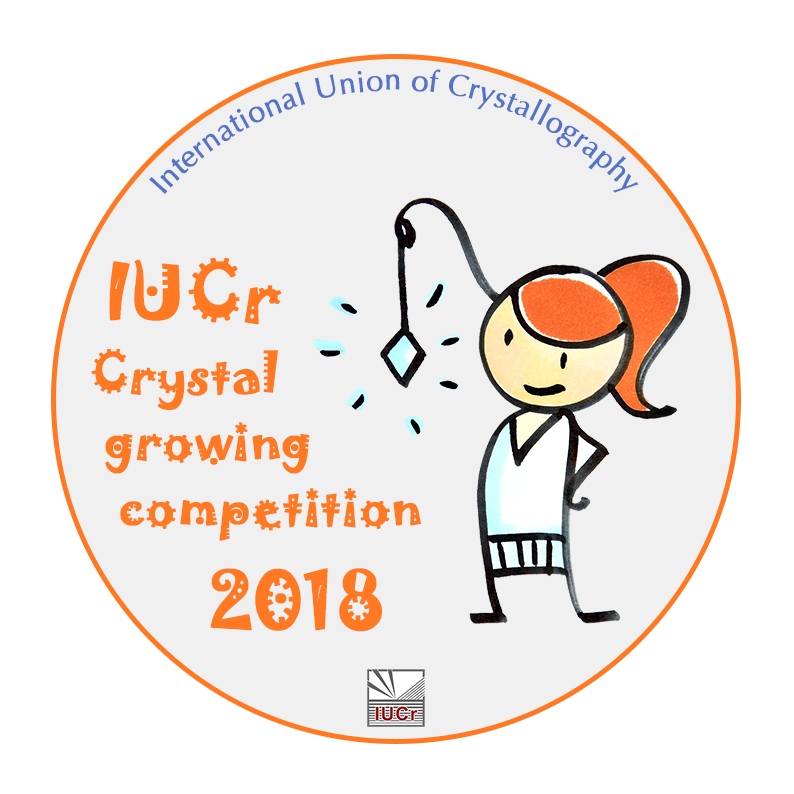 The IUCr Crystal growing competition is open to all schoolchildren and aims to introduce students to the exciting, challenging and sometimes frustrating world of growing crystals. This initiative was originally launched in 2014 as part of the celebrations for the International Year of Crystallography and has now reached its fourth edition. The winners of the 2018 edition of the IUCr Crystal growing competition will be those who most successfully convey their experiences to the panel of judges in a video report. Learn with Johanna in this movie from Quidos about how to grow a single crystal. Do you want to know more? Then download the brochure and visit the section "running a competition", which includes useful information on growing and judging the quality of crystals, and links to the IUCr Teaching Pamphlet in a number of languages. The aim of the competition is to convey your experience of growing crystals through a video. Each contribution should clearly show or mention the experimental work carried out by the participants during the growing of their single crystals (compounds and methods used are free of choice). Furthermore the contribution should reflect in a creative way on the experimental work and theoretical background and/or applications. It is strongly recommended to use English subtitles when applicable, and to provide the name and age of the participants, along with their photos, as well as the name of the school at the end of the video. The competition is open to students of primary or secondary schools; maximum age 18. Videos submitted to local competitions during 2017 may be also submitted to the IUCr competition. Duration of video: strictly no longer than four minutes. Language: mother language of participant or English. A maximum of two entries per category per school is permitted. The judging panel will be nominated by the International Union of Crystallography. The decisions of the judging panel are final. The 2018 competition is now closed - thanks to all who took part! The winning contributions in each category will receive 'Young crystal growers' certificates and medals. A panel of judges will evaluate the entries. The following six criteria will be used: creativity, aesthetic value, description of working plan and experimental work, clarity of explanations, scientific background, and safety.